Jon Williams of Project Kiwi holds a North Island brown kiwi prior to its release on Motutapu Island in the Hauraki Gulf Marine Park in 2012. 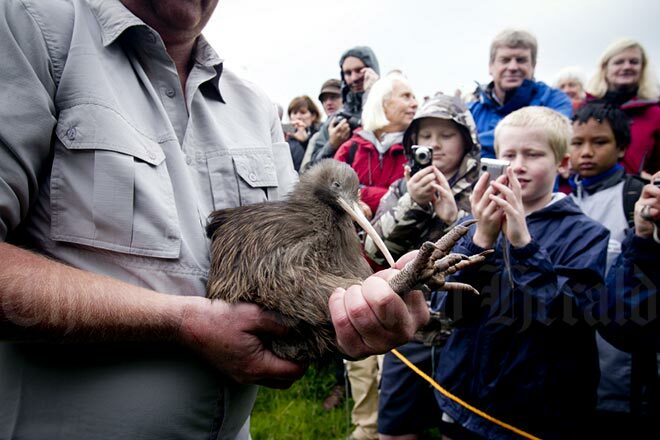 The release marked the launch of a new kiwi protection agency, Kiwis for kiwi. The agency was working with the Department of Conservation, Project Kiwi, Whenuakite Kiwi Care, the Motutapu Restoration Trust and local iwi to establish a new population of North Island brown kiwi from Coromandel on Motutapu.